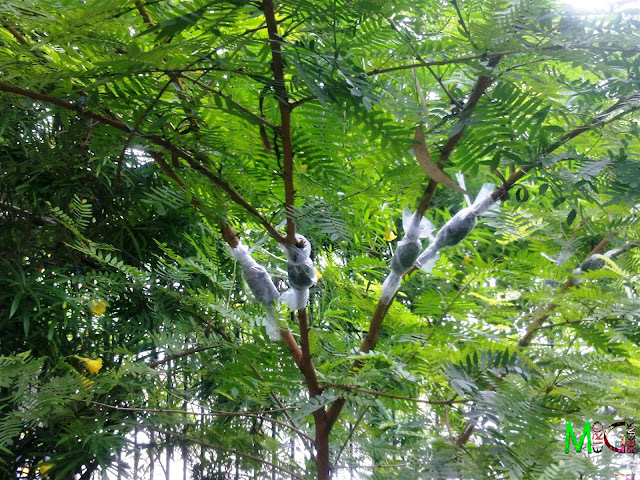 A while back, during a stroll to a nearby park, I came across one of the techniques of plant propagation, Air Layering. 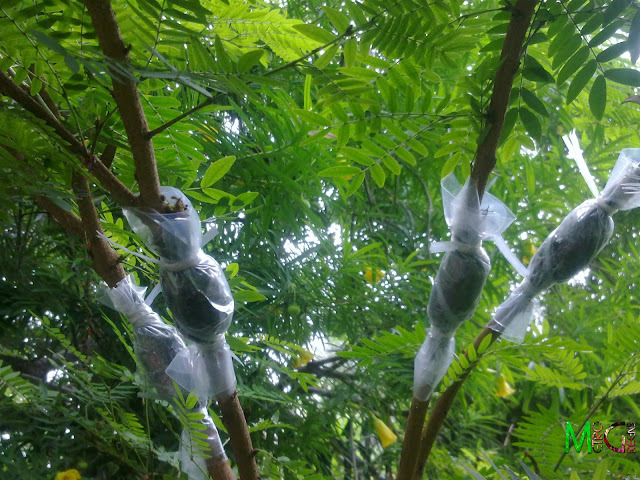 Using this technique one creates a separate plant from the mother plant using a method in which usually a wound is made the target plant stem, and this wound is layered using some moisture retaining medium like peat-moss or coco-peat and such. To increase success rates synthetic rooting hormones are applied to the stems to promote rooting. Seeing the method in the park, I decided to give it a try on my plants. 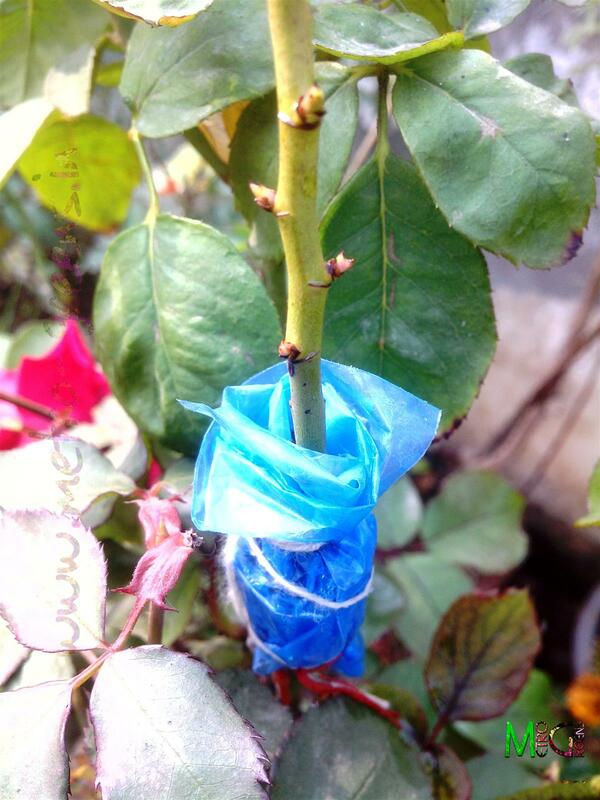 Though I planned air layering, I introduced a twist - grafting. 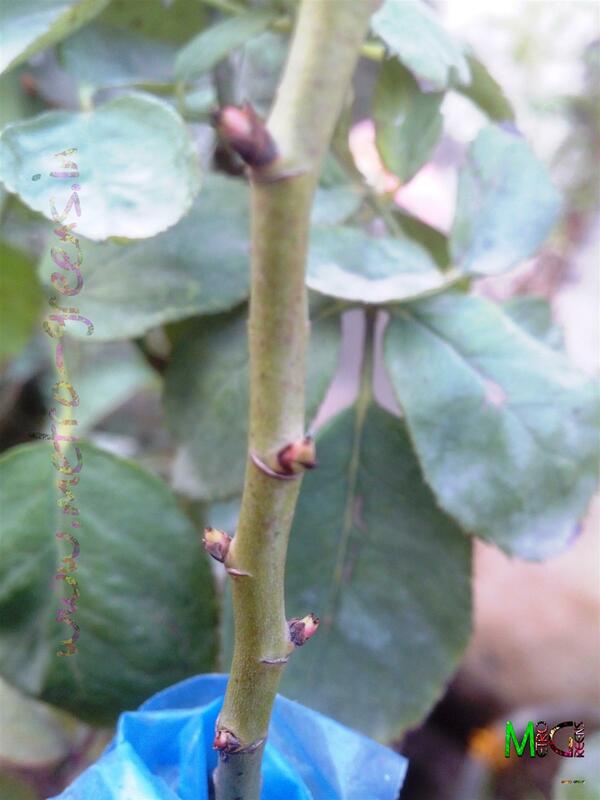 I used a stem from a different rose plant and tried grafting it on another. To increase chances and not let the stems die, I used layering technique too. 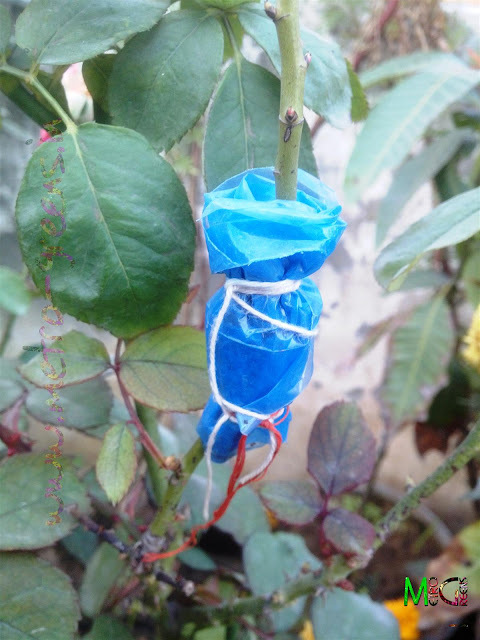 Used compost to layer the wounded area and then wrapped it with polythene sheet, which would retain moisture, and not let the wounded area dry. I tied the thing on both top and bottom. Air layering on a plant in a public park. A closeup of air layering on a few stems of a plant in a public park. My experiment with Air-layering and Grafting. My experiment with Air-layering and Grafting. In this shot, some drying nodes are visible. This shot taken a while after I did the process, and I hope you too can see that the nodes are looking fresher. And the proof that the cutting survived. You can see some grown up nodes. Now I'll need to check whether this is a result of grafting or the roots have come up in the cutting, because of the moist compost. 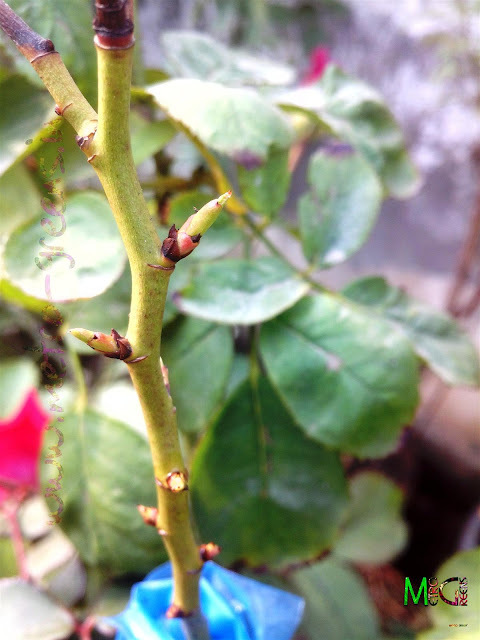 Initially, the stem cutting started drying, but, gradually, it seems like it has survived, and new nodes are appearing. Let us hope for the best and wait for the cutting to develop completely to see the results. In the upcoming posts I will share some more blooms and stories from my garden Till then keep visiting and HAPPY GARDENING!